Our vote is our voice, but it is only heard when we vote. Here, we make it quick and easy to manage all your voting issues. Just click to register to vote, update address, verify polling place or see your ballot. Share our Election Alerts to help friends and family vote too. Click on any voting topic below for easy-to-understand information. As Democrats, we want every citizen to vote in every election so democracy works for all of us. VOTE EARLY (in-person absentee) at your convenience. Click here for the full list of 20 reasons to qualify. FAIRFAX CITY (www.fairfaxva.gov, 703-385-7890) Sisson House (by City Hall) 10455 Armstrong St .
ALEXANDRIA CITY (www.alexandriava.gov, 703-746-4050) Govt Center 132 N Royal St.
ARLINGTON COUNTY (www.vote.arlingtonva.us, 703-228-3456) Courthouse Plaza 2100 Clarendon Blvd. FALLS CHURCH CITY (www.fallschurchva.gov, 703-248-5085) City Hall 300 Park Ave.
CITY OF MANSASSAS (www.manassascity.org, 703-257-8200) 9205 Center Street, Manassas. MANASSAS PARK (www.cityofmanassaspark.us, 703-335-8800) One Park Center Ct., Manassas. Código 1A/1B – Ud. o su cónyuge asiste a una institución de estudios superiores fuera del condado/ciudad de su domicilio. Código 6A/6B – Ud. o un dependiente/cónyuge que vive con Ud. es miembro activo del servicio militar o la marina mercante. Código 1F – Socorrista de emergencias (policía, médico, etc.). Código 2A –Discapacitado o enfermo, dificultad en hacer fila. Código 2B –Ud. es cuidador domiciliario de un pariente discapacitado o enfermo confinado en casa. Código 2C – Ud. está embarazada. Sept 21 – Oct 12: Monday – Friday 8am to 4:30pm; Thursdays extended until 7pm. Absentee ballots, to be counted, must be returned to the Office of Elections by 7:00 p.m. on Election Day, February 19, 2019. This section explains how to apply for an Absentee (by mail) Ballot, which must be filled out precisely according to detailed instructions, signed by you and by a witness (as well as by any person providing voter assistance), mailed in the correct envelope with the proper postage and received by the registrar’s office no later than 7pm of Election Day. Even small mistakes could invalidate your ballot. So we can’t overemphasize how important it is to carefully follow the detailed instructions. If your intention is to Vote Early in-Person at an Early Voting Location, DO NOT SEND in a request for an Absentee Ballot Application, as it is sent in for mail-in ballots only. Once a mail-in ballot is requested, the voter must vote in this manner. If you later change your mind and wish to vote in person, you can. Here’s how: bring your absentee ballot to the polling place where they will replace it with a regular ballot. Or, you may vote a provisional ballot, which will be counted once it’s confirmed that you did not vote your absentee ballot. Carefully follow the 14-step process to cast your absentee ballot. Click on the blue “Register to Vote or Update your Voter Registration Online” button on this Voting Webpage. Registering or updating one’s registration must be completed 22 days before the election. In addition to clicking on “I want to update my voter registration,” which will enable you to update your address or name on your voter registration, you will also be offered the option to click on, “I want to apply for absentee voting.” We recommend you do not click on this button, as it forces the voter to wade through 11 additional screens merely to request a mail-in ballot. Instead, we suggest you read the two other options we offer in Step 3 further for easier, time-saving ways to request your Absentee (by mail) Ballot. If your intention is to Vote Early in-person at an Early Voting Location, DO NOT SEND in a request for an Absentee Ballot Application, as this request is to be sent in for mail-in ballots only. Here are the 19 reasons Virginians must use to qualify to vote before Election Day, together with any supporting information required. Code 1C: Business outside County/City of residence on Election Day (name of employer or business). Code 8A: Authorized representative of candidate or party serving inside the polling place. Once you have identified the reason and code which qualify you to Vote Absentee, and you wish to vote by mail rather than in person, you must apply for an Absentee Ballot. Print your Absentee Ballot Application by clicking here or pick up an Absentee Ballot Application from your library or local government office and follow the instructions to submit it. Specify for which election you request a mail-in ballot. Provide two addresses: your residence and the address where the mail-in ballot is to be delivered. NOTE: The ballot may not be sent to the voter in care of another person. Select your code for the reason that qualifies you to vote absentee, providing any supporting information requested. Send in your paper application to the address on the form by mail (allow 5 days if using U.S. Mail), via FAX or as an email attachment to your local Voter Registration Office. For Fairfax County, FAX to 703-324-3725 or email to voting@fairfax.gov. Click here for contact information for other nearby cities/counties: elections.virginia.gov/VoterInformation/PublicContactLookup. The last day your mail-in ballot application can be received by your Office of Elections is 5pm on the Tuesday before the election (if provided in-person to your Registrar’s office, but arrive earlier so that the application can be completed by end of business), or by 11:59pm if submitted online. Your Absentee Ballot Application can be sent to the registrar’s office up to one year before the date of the election for which you seek a mail-in ballot. Ballots are sent to voters beginning 45 days before Election Day. If your application is received by the registrar after this date, you can expect to receive your ballot about 1-2 weeks later. Follow instructions precisely so your Absentee Ballot will not be rejected as invalid. Inside the envelope, there are (English only) instructions, a separate A envelope containing the ballot, a B envelope used for inserting the completed ballot, and the return envelope which is pre-addressed to your Registrar’s office. Follow the 4 pages of instructions carefully. Fill in the circles on the ballot completely with a blue or black pen. Do not use an “X”. Complete the outside of envelope B. Sign Envelope B, have your witness sign it, and any assistant sign it, and date it for when you have completed the ballot. Insert your completed ballot into envelope B.
Seal the B envelope completely. Insert the B envelope into the return envelope. Add a copy of your valid voter photo ID, as it might be required if this is the first time you are voting in Virginia (see the information below Step 13 on the exceptions to first-time voters having to vote in person). Notice to voters using US mail service: The USPS delivery standards have changed. First Class delivery now takes 2-5 days. Please consider this as you vote absentee by mail. Active Duty Merchant or spouse/dependent, or those temporarily residing outside the US. Absentee ballots count! You can rest assured that properly completed absentee ballots are valid and counted just like any other ballot; they are counted on Election Day. 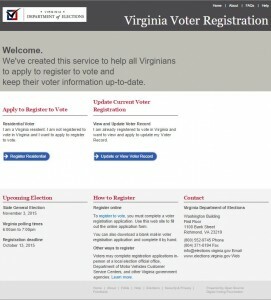 You can check the status of your Absentee (by mail) Application online at www.vote.virginia.gov. Then, if the high schooler changes residences later in the year (if they relocate for college for example), the voter registration can be updated to a different voting residence if desired. Read below for further details. College students have a choice about where, when, and how they vote in Virginia elections. The decision usually hinges on which college or university will be attended, and how far away from “home” the student will be. “WHERE IS MY ‘RESIDENCE’ ”? Virginia’s guidelines state that a college student resides for voting purposes where they consider to be living for an indefinite period of time. The intention can change for any reason, at any time. It’s the student’s choice. People can choose as their residence for voting purposes “where they rest their head at night”. This choice of residence for voting purposes in Virginia has no bearing on taxes, tuition, scholarship, or driver’s license. Such legal terms as domicile or residence do not relate to the college student’s choice of “voting residence”. But a college student can have only one voting residence for a given election. The residence of record as of 22 days before Election Day (May 22 for Primaries, Oct 15, 2018 for the General Election) determines one’s polling location. Register or update your voter registration for any change to your voting residence at vote.virginia.gov. Students living on campus at George Mason, James Madison, Virginia Tech, or the University of Virginia can choose their campus mailing address as their voting residence. These universities have polling locations on campus, so transportation is not a concern. Polls are open 6am to 7pm. GMU students living on campus use their mailing address as their voting residence: 4450 Rivanna River Way, Fairfax Va, 22030. VTech students living on campus use their Residential Hall address: Hall, Room #, Street Address, Blacksburg, Va, 24061-XXXX (last 4 are specific to the building) as their voting residence. Students living off campus can choose this off-campus address as their voting residence. Any student can choose their “home” address as their voting residence even if they are temporarily living at or close to their college. Students attending college outside of Virginia can use their “home” address as their voting residence for voting in the Virginia elections. They can vote early in-person, or absentee-by-mail. If these students choose the voting residence to be outside of Virginia, the voting requirements should be scrutinized for that particular state. Election laws are state laws. The most important thing is to vote – so choose that voting residence which is most conducive to voting – be it for convenience, ease, or time required. Election Day is on a Tuesday, when school is in session, papers are due, and exams are scheduled. Consider the distance and transportation to your polling location. November weather conditions can make transportation difficult. On-campus polling locations are within walking distance, and you can vote with friends. Students can return “home” to vote before Election Day (in-person absentee) as early as 45 days before the June 12 Primary (April 22) or the November general election (Sept 21). Typically, early voting is available over the Fall Break. See listing of dates, times, and locations on the Early Voting page. Virginia has 11 US Representatives, each elected from 11 Virginia Congressional Districts. Your choice of voting residence might affect which US Representative will be on the ballot. Decide which US Representative needs your vote more. Follow these steps to vote early in-person. Step #1 Choose your qualifying code. Virginia voting laws require a qualifying reason to vote early. Students can qualify for early voting with Code 1A/Spouse 1B if they attend school outside their city/county of residence. To vote before Election Day, students might return “home” to vote early. Remember that there are some Saturdays and evenings when early voting is available. See the complete listing of qualifying reasons on the Early Voting page on this website. Step #2 Bring a friend or family member with you — so everyone might benefit from early voting. Step #3 Determine when and where you will vote early in-person. Just show up at your early voting government center. No advance paperwork necessary. Many students return “home” to vote early on the Saturday of Fall Break. See the Early Voting page on this website for the complete listing of these early voting locations and times. Step #4 Bring your photo ID. Virginia College Student Photo ID or your Virginia driver’s license is OK. Also bring the last 4 digits of your social security number. Step #5 Pick up a sample ballot from the poll workers outside when you vote. Step #1 After you have physically moved to college, request your mail-in ballot. Go to democraticabsentee.com to apply for your absentee ballot online. The last day you can request an absentee-by-mail ballot online is 7 days before Election Day (11:59pm June 6 for the Primary, Oct 31 for the General Election in 2018.) We strongly recommend that any absentee-by-mail ballot be requested at least 11 days before Election Day. Or download an application from this website on the Absentee-by-Mail page, and print an application. Step #2 Ballots are sent to voters about one week after the absentee voting applications are received by the registrar, starting in September about 45 days before Election Day. Check the status of your absentee applications and ballots at vote.virginia.gov. Step #3 Complete the ballot following the instructions (See detailed instructions on the Absentee-by-Mail page) so it is received by registrar’s office via US Mail by 7pm November 6th. The US Post Office suggests allowing 2-9 days for first class delivery. If this is the first time you will be voting, and have chosen to vote by mail, you are required to include a copy of your Voter Photo ID (a Virginia student photo ID) or your Virginia driver’s license with your ballot. Include it inside the return Envelope A, as per the instructions included with your ballot. See all other instructions for voting by mail at the Absentee Voting by Mail page on this website. Congratulations. Using these guidelines, you will have successfully voted! If you require assistance when voting, Reason Code 2A (your disability or illness or simply having difficulty standing in line) can qualify you to vote early. Vote with a companion of your choice: Anyone–a child, non-citizen, relative, or friend–can help you. The only exceptions: your employer or union official. Ask for help from poll-workers and Election Officers with how to use the voting machines or to answer other questions you might have. Privacy is a priority: Every voting facility has an accessible voting booth and machine to help ensure that the voter with any disability can cast a vote with privacy and independence. Curbside Voting–either during early voting times or on Election Day — allows a driver or passenger to vote without leaving the vehicle. Curbside voting is available for those with disabilities or those over the age of 65. Simply park is the space reserved and marked for this purpose. Then call the cell phone number written on the “Curbside Voting” sign to request assistance from an Election Officer or poll worker. Or a friend or companion can leave the vehicle and ask for assistance. TIP: Take a cell phone with you so that you can call for assistance. TIP: Bring a friend or relative to help you. TIP: Request a sample ballot and any other literature you would like to see before voting. Absentee Voting BY-MAIL—Voters can also vote by mail. To read more about this, scroll up to our “Absentee Voting by Mail” section on this page. Vote with a companion who might offer you language assistance. Fairfax County Office of Elections prints voting-related materials in English, Spanish, Korean and Vietnamese. But voters can bring in their own language-assistance helper if desired. 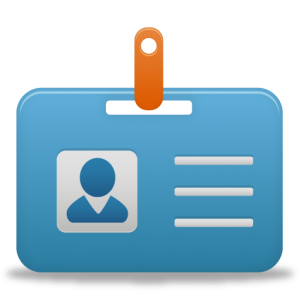 Other government-issued photo identification cards (must be issued by US Government, the Commonwealth of Virginia, or a political subdivision of the Commonwealth, such as county, city, or town). *Valid IDs must not be expired for more than 12 months at the time of use. If you are a registered voter and don’t have any of the above ID’s, you can get a FREE photo ID at: 1) the Fairfax County Office of Elections (12000 Government Center Parkway, Suite 323, Fairfax, VA 22035) during normal office hours, M-F 8 am – 4:30 pm, or 2) any satellite early voting locations when they are open for early (in-person absentee) voting. If you qualify to vote early, you can do both on the same trip. The process is easy, you just affirm your identity, and that you have no other photo ID — that’s it! If you need a ride to get a voter photo ID, call our office at (703) 573-6811 during normal business hours and we will be happy to assist you. If you are not able to get a valid ID or if you forget to bring your ID to the polls GO VOTE, and we can help you get an ID by the deadline so that your provisional ballot counts. Persons 18 years old by the next General Election date may register and vote in both primary and general elections (also must be a US citizen, and resident of Virginia). You may register to vote year-round except during the 21 days prior to a General or Primary election, 6 days prior to a Special election, or 6 days prior to a Special election called by the Governor (Code of Virginia 24.2-416). Verify that you are registered to vote, click here. FIRST TIME VOTERS who have mailed in their registration must vote in person (early or on Election Day), or submit a copy of their valid photo ID with their mail-in absentee ballot application per Virginia law. More than 225,000 ex-offenders have recently had their voting rights restored, beginning with Governor Terry McAuliffe’s signing of 219,000 individual orders in 2016. Governor Ralph Northam continues to sign these restoration of rights orders on an ongoing basis. If ex-offenders have completed their sentences and supervised probation or parole, their voting rights can be restored by the governor. But most ex-offenders do not know that their rights have been restored and that they are now eligible to vote, often because their mailing address has changed from that known by the state. They may have never received their notice in the mail. If you or someone you know has been convicted of a felony in Virginia or in U.S. District court, then they might already have had their voting rights restored! Find out here. If rights have been restored, then the person can register to vote. It’s easy here. VOTING: What You Need to Know (Click here for a summary). If rights have not yet been restored, use this request form for a speedy rights restoration order: www.restore.virginia.gov. It is now easier than ever for voting rights to be restored, thanks to Governor Terry McAuliffe’s actions in 2016. We can help you with getting the right information to ensure that your rights are restored. Stay updated by joining our Restoration of Rights facebook page. History: Why it is the day it is. Election Day (the day that United States citizens cast their ballot to elect government officials) is the Tuesday on or after November 2nd. Tuesday was selected because many people had to travel the day before to reach the polling place. Since most people did not travel on Sunday for religious reasons, they did not want it to be on a Monday. Election Day was not to fall on November 1st because it is All Saints Day. Election Day was not to fall on the first of the month because many shop keepers did their books for the preceding month on the first. Lyndon Johnson called the right to vote, “the most powerful tool ever devised by man to break down the walls of injustice.” Voting is your fundamental right as an American, and the most basic means by which you have a voice in how your government works. Voting determines who will represent you, your family, and your neighbors in your community, your state, and your country. We need your help to get everyone registered to vote and to make sure every vote is counted in Fairfax County. Political signs must comply with local ordinance, Chapter 9.5 of Title 24.2, Code of Virginia, and Virginia Department of Transportation (VDOT) regulations. No sign shall be erected earlier than 75 days prior to nomination, election or referendum, AND all signs shall be removed within fifteen days after the announced results of the nomination, election or referendum.